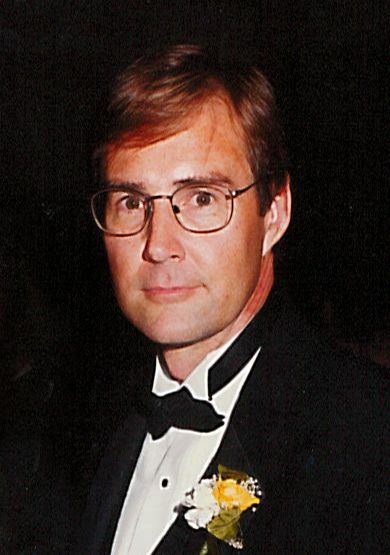 George Douglas Perkins, 64, was called to Heaven on January 15, 2019 at McLaren Northern Michigan Hospital in Petoskey surrounded by his loving family following a lengthy illness. God saw that he was tired and on the wings of his angels he went home to be with his Lord and Savior. He will be sadly missed by all but never forgotten by the ones that love him and his beloved dog, Sandy. George was born March 25, 1954 in Detroit to George and Lucille (Jensen) Perkins. On May 29, 1976, he married Marlene Schlak. George worked at Wayne Wire, retiring in 2002. He enjoyed gardening, hunting, walking, golfing, reading and spending time with his grandsons. George was a member of St. John Lutheran Church. Surviving are his wife, Marlene; daughter, Michelle (Don) Vlodyka; son, Christopher (Sissy) Perkins; 4 grandsons, Austin and Sean Vlodyka, James and Steven Payment; sisters, Shelia (Mark) Kujda of Port Huron, Lynn (Ervin) Schlak of Millersburg; and brother, Dave of Port Huron. Visitation will take place Friday at St. John Lutheran Church – Royston from 2-8 p.m. with a prayer service at 7 p.m. Visitation continues there Saturday from 10 a.m. until the funeral service at 11 a.m. with Rev. Jason Mandley officiating. Arrangements have been handled by the Bannan Funeral Home.